The KNK Force has built-in cutting software named C3, which allows you to upload SVG files and cut them via a web browser. Several users in the very active Facebook KNK Force Group have asked how and where to obtain some of these mysterious SVG files or how to create them, so I’m here to help you explore a few paths. If you’re just looking for some quick satisfaction, there are plenty of places to find SVG files. Some are designed especially for cutting machines while others may need a few tweaks to cut properly. You may see designs labeled “print and cut.” These are meant first to be printed, then a cutting machine can trim around the design. It’s how folks create their own stickers, for example. At the time of this writing, we’re still waiting on that functionality to be enabled in the Force as it relies on the built-in video camera. Where can I download SVG files? Here are a few places you can find SVG cutting files for download. Many are for purchase, but most folks keep a rotating stash of free cut files for you to experiment with. The Noun Project is my personal favorite, but some of the files need some tweaking to cut properly. The search feature is fantastic and I find the variety and breadth of design inspirational. How do I make my own SVG files? Vector illustration software such as Adobe Illustrator, Corel Draw, Inkscape are commonly used. If you’re not already comfortable with one of the above programs, I don’t suggest starting with one of these because they involve a steep learning curve and are not at all intuitive within the cutting machine paradigm we’re working in. 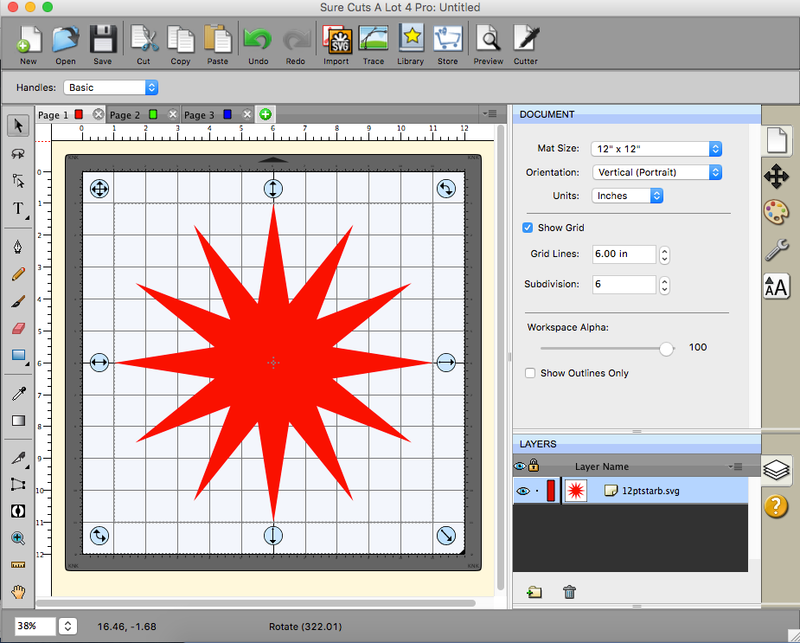 Make the Cut and Sure Cuts-a-Lot, often abbreviated as MTC and SCAL, are two well-regarded pieces of software that are designed specifically for cutting machines. With simpler interfaces and a lack of extraneous features, you’re more likely to have an intuitive experience with either of these. Tip: When you first open Make the Cut, click View -> Node Mode. You can also press the ‘W’ key to enable or disable this tool panel. In my opinion, it should be on by default. I need help with this software!! Hey, we’re all constantly learning, so don’t be frustrated. If you’re trying to learn MTC, I suggest checking out Sandy McCauley’s Make the Cut tutorials. They cover the basics to more advanced topics, so they’re a great place to start. Mac users, you’ll need to install the free VLC media player to view Windows Media Files. Don’t worry, it’s awesome. ScrappyDew and ScrappyDiva have YouTube channels full of tutorials for MTC, SCAL, Inkscape, and more. Definitely worth checking out. There are lots of other SCAL 4 tutorials and MTC tutorials available on YouTube, as well. For KNK Force users, there is specific information related to different software applications in the user manual. Be sure to read your manual! I hope the above at least gives new users a place to start and some designs to play with. Expect to make mistakes and to fumble a bit so you can have fun while learning and creating!